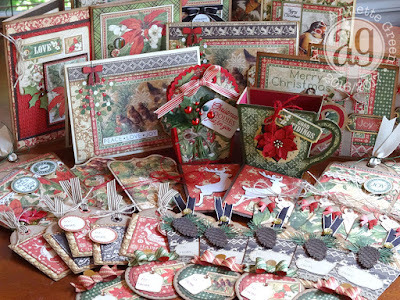 Annette's Creative Journey: 9th Annual Holiday Workshop is Coming! What a wonderful set of cards and tags! Wish I lived closer to participate in this workshop. If we we ever move to Florida (which we eventually plan to do) I look forward to taking your classes. Beautiful kit class, I know y’all had a blast. Do you sell your instructional sheets/photos for these cards? I saw the snap guide (very nice), but no Etsy shop.